For the longest time, Brussels sprouts were the middle school nerds of vegetables. While they went through a bit of an awkward stage, subjected for years to steam-cooking and boiling, they&apos;ve really come into their own lately. 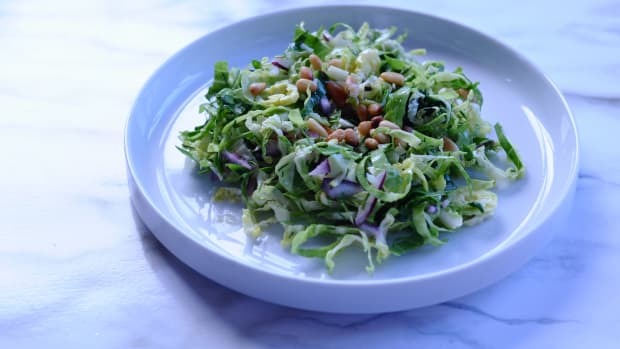 Roasted to bring out their caramelized flavor, Brussels sprouts have become one of America&apos;s favorite vegetables, but they&apos;re just as delicious when served raw, as in this raw Brussels sprouts salad recipe. Shaving Brussels sprouts gives them the perfect slightly crisp texture, and their light sweetness pairs divinely with the sweet-and-sour burst of pomegranate seeds and the slight bite of raw shallot. A simple vinaigrette is all you need to make this Brussels sprouts salad recipe sing. 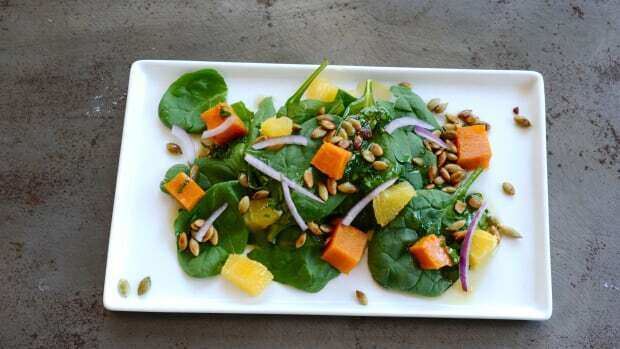 This salad is also packed full of important nutrients. 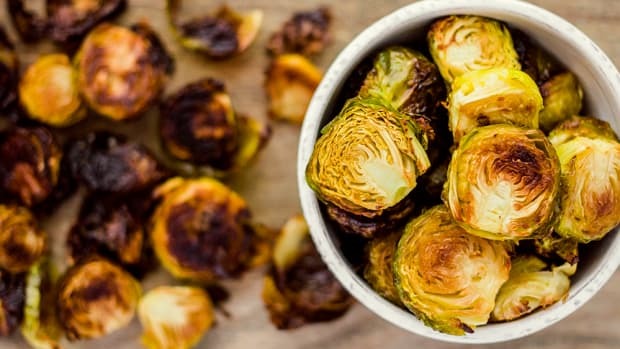 A member of the brassica family, Brussels sprouts are full of glucosinolates, important phytonutrients that have been attributed with Brussels sprouts&apos; anti-carcinogenic properties (and also with giving them their slightly pungent flavor). 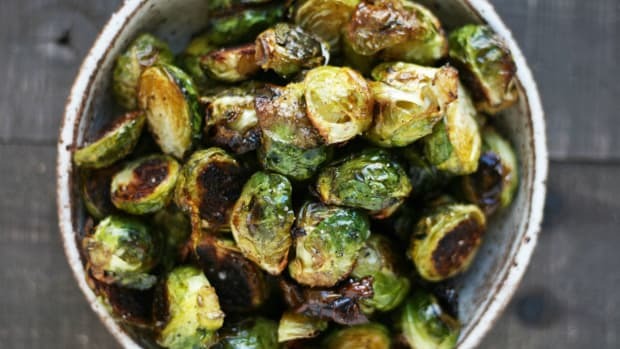 Brussels sprouts are also chock full of vitamin K, vitamin C, and folate. 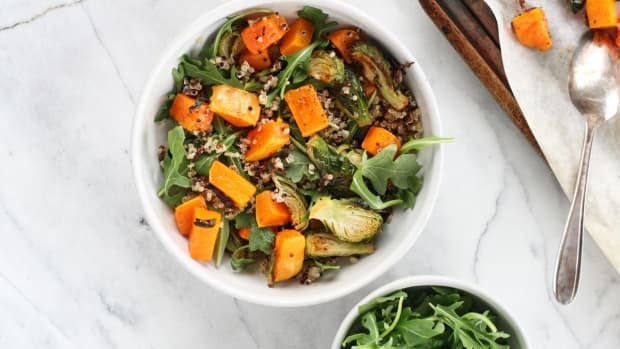 Add antioxidant-rich superfood pomegranate to the mix, and this Brussels sprouts salad recipe definitely takes the cake for health benefits. 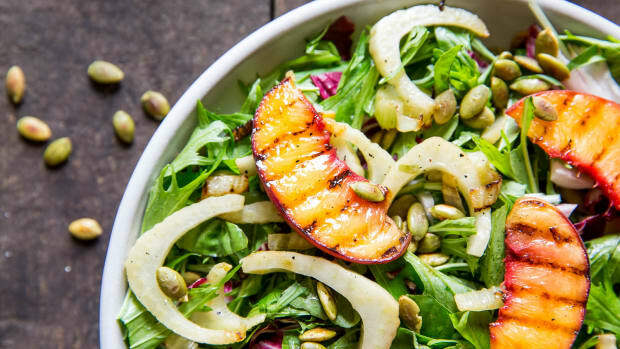 While this salad is delicious all year long, it&apos;s a particularly fantastic way to get a seasonal, healthful salad on your winter table. 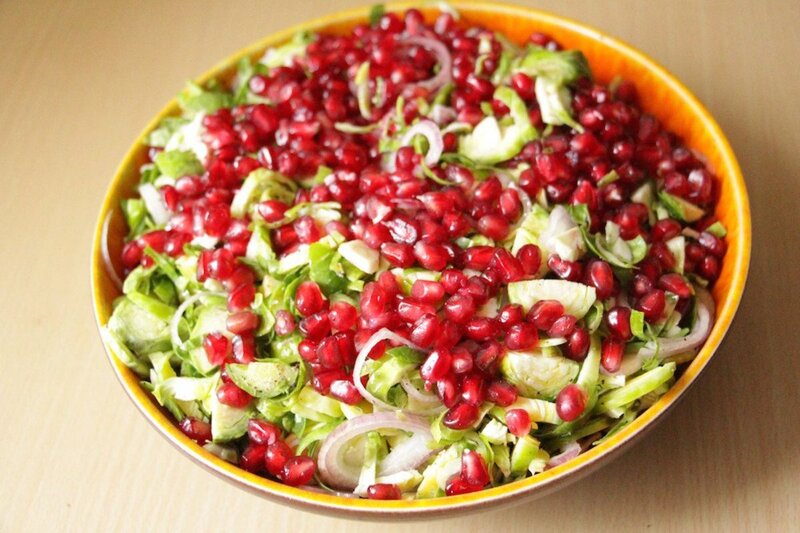 The bright colors of raw Brussels sprouts and pomegranate add a vivaciousness to your plate that you won&apos;t find with many other salads. 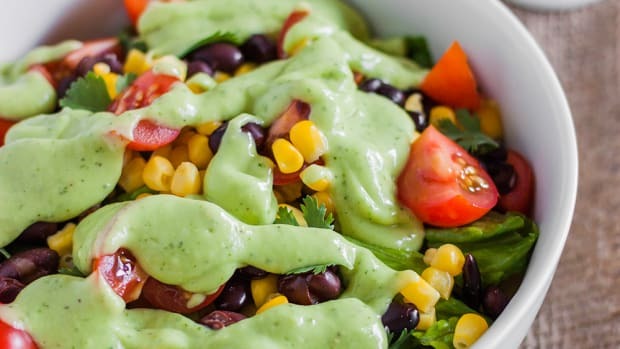 The salad is definitely flavorful enough to stand alone, but it&apos;s also tasty when topped with goat cheese or even your favorite baked falafel recipe, for even more flavor and a touch more protein. 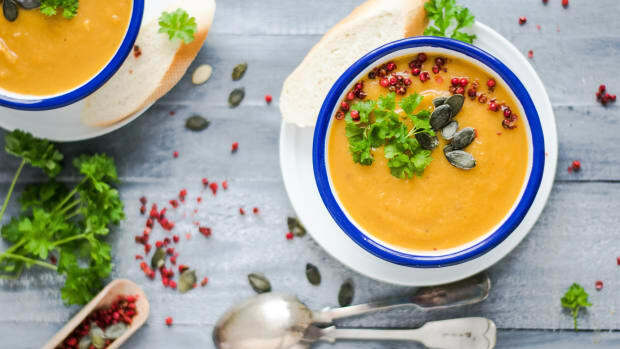 The vinaigrette can also be sweetened up with a bit of pomegranate molasses for even more flavor. Halve the Brussels sprouts lengthwise, then shred them. This can be done with a sharp knife, a mandoline, or a food processor. Place the shredded Brussels sprouts in a bowl. Thinly slice the shallot and separate the rings. Add to the bowl of Brussels sprouts, season with salt, pepper, olive oil, and vinegar, and toss to combine. Marinate for about 10 minutes, then toss again. 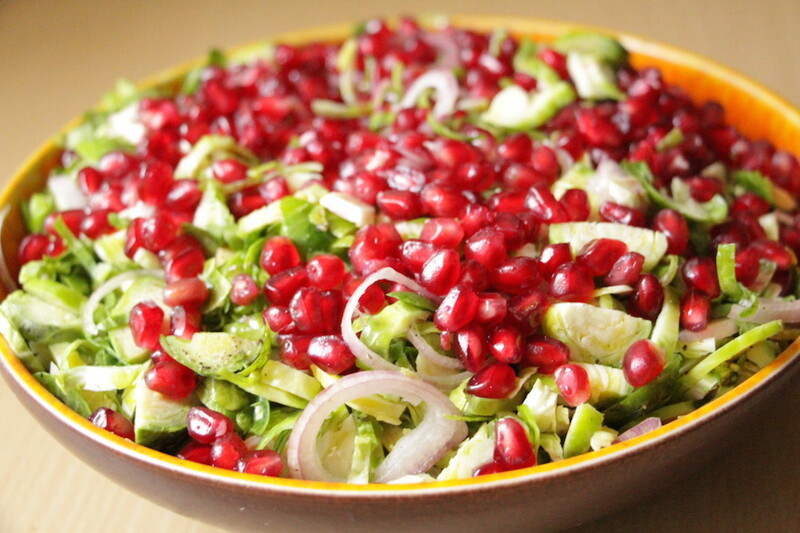 Just before serving, top with the pomegranate arils. Seriously delicious and nutty roasted Brussels sprouts using a nutritious secret ingredient: ghee. You're going to be sprout obsessed.